A good keto crackers recipe is very handy to have around. This cracker recipe goes well as finger food with dips and cheese. Keto crackers are great cracker for dips, cheese and the perfect addition to any antipasto plate. After the second baking if your crackers are soft, cook them for another 2-3 minutes before drying to ensure that they are cooked through. Undercooked keto crackers will become stale very quickly and cause the others in the jar to do the same. 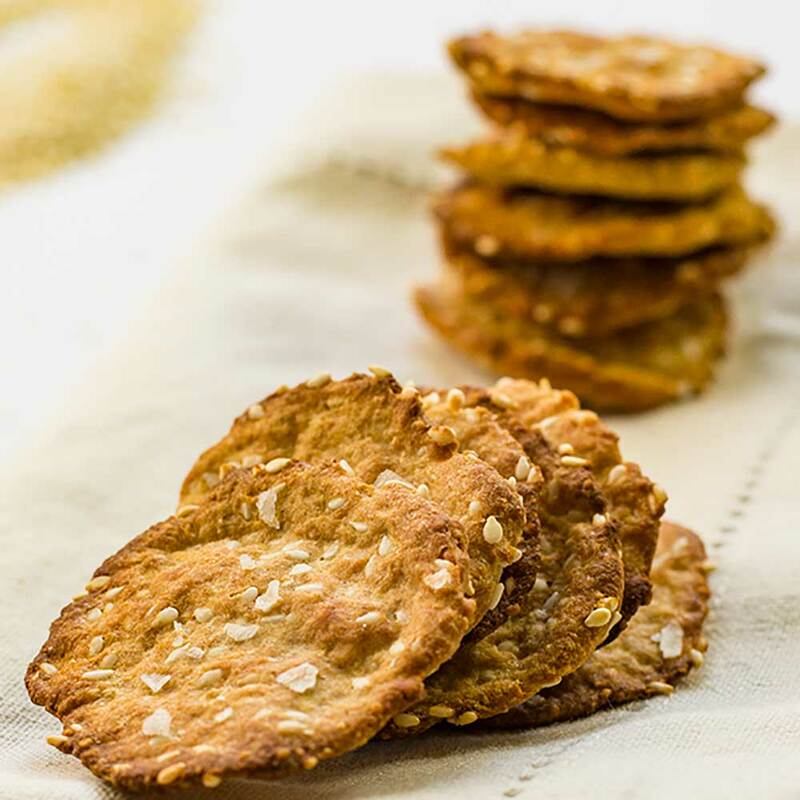 This keto crackers recipe makes approximately 30 crackers. 1 serve is 6 crackers. In a bowl combine the golden flaxseed meal, sesame seeds and parmesan and mix well. Add the water and egg and stir vigorously until a firm dough is formed. Tear off teaspoon-sized balls and place on a lined cookie sheet, cover with a small square of parchment paper and used a flat-based object to flatten the dough out to 3/4in/3mm thick. We used the flat base of a water glass. Sprinkle a few flakes of sea salt onto each cracker and gently press down to ensure that it sticks. Bake the crackers for 8 minutes, and then turn over and bake for another 3 minutes. You may need to batch cook depending on the size of your oven and cookie sheet. After all the crackers have been baked, turn the oven off and return all the crackers to the cooling oven to dry out and crisp up for 20 minutes. Allow to cool completely, then store in a dry, airtight jar. Our latest snack recipe is our Sesame Sea Salt Keto Crackers. They are crispy, crunchy and salty - a great vessel for dips, cheese and the perfect addition to any antipasto plate. Tear off teaspoon sized balls and place on a lined baking tray, cover with a small square of parchment paper and used a flat-based object to flatten the dough out to 3/4in/2mm thick. We used a water glass. Bake the crackers for 8 minutes, and then turn over and bake for another 3 minutes. You may need to batch cook depending on the size of your oven and baking trays. 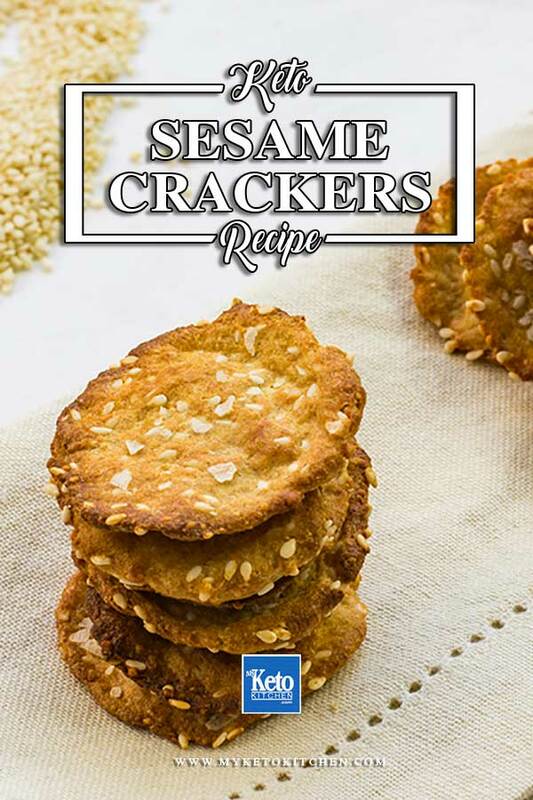 To make a larger batch of this Sesame Sea Salt Keto Cracker recipe adjust the serving in the card above. These are so good! I make a batch of these and a batch of your Flax seed crackers once a week! Thank you so much for the recipes. I have tried several of your recipes and they always turn out well. Not missing the carbs at all! What is a fan forced oven and how can these be made in a regular oven? The ovens in Australia have the option for “fan forced”. It is a fan in the oven that blows the heat around. This Crackers looks quite healthy and tasty!!!! I’ll definitely try to make this, Thanks for sharing this light delicious recipe! I hope you enjoy then Aria! I’ve been making these crackers for a few months now and they’re my go-to snack with some salami and cheese. It’s nice you can add some spices if you want if you’re up for a new flavor. Thanks for the recipe, it’s one of my favs! I’ve really been struggling hard trying to find KETO recipes that I actually like so imagine my surprise when these came out tasting AMAZING!!! I’ve never been so excited about a cracker in my whole life…the possibilities with these are endless – my mind is exploding with ideas!!! THANK YOU SO MUCH!!! Thank you again for this recipe!!! 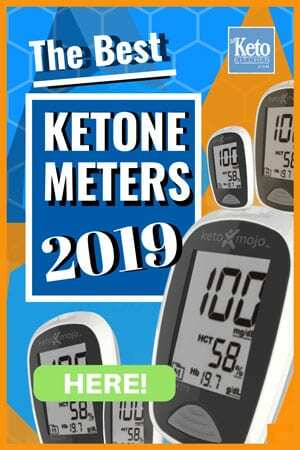 I’ll be sharing this link with my KETO friends immediately! Thank you for your kind words, Misty. I’m so glad that you enjoyed the crackers! These look great! Definitely going to make! How long will these last in an air-tight jar? Once fully dried, they will last for 2-3 weeks in an airtight jar. I don’t have Flaxseed available where I am. Is there a substitute? There is no substitute for the flaxseed.